If you want to know more about my background, training, strengths and specialties, click here. 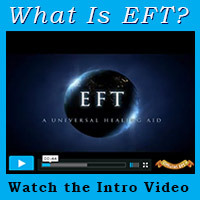 If you’re new to EFT or are looking for basic explanations on EFT, either watch the official introductory video or check out the About EFT section. For more in-depth questions regarding EFT itself, the tapping process, or the amazing offspring of EFT that is Matrix Reimprinting visit the FAQ section or the About Matrix Reimprinting page. If you’re curious about what a first session with me looks like, check out this informative page. For all EFT-related questions that haven’t been answered on this site, either send me an email or browse the official EFT website.